Sustainability is at the heart of the World Circular Economy Forum 2017. 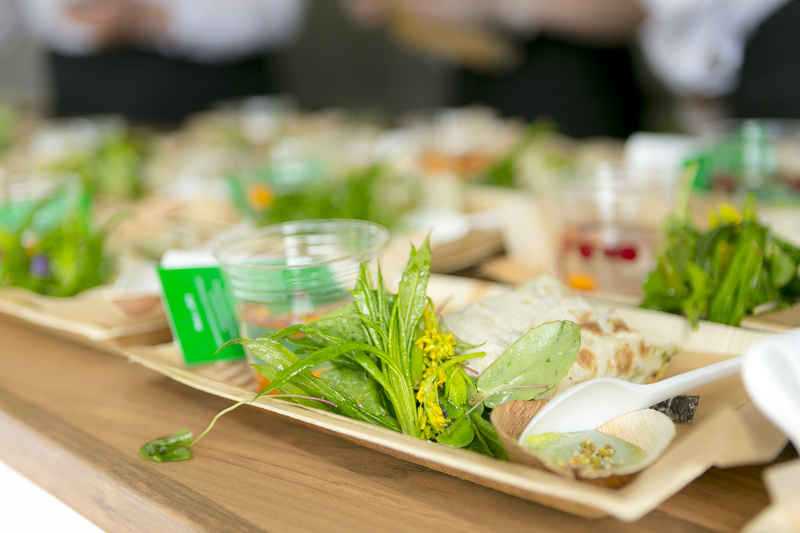 That’s why the food served at the event aims to be both delicious and climate-friendly. World Circular Economy Forum 2017 (WCEF2017) also celebrates the centenary of Finland’s independence. To celebrate the occasion, there is complimentary food served for the participants featuring organic and locally produced ingredients. Monday 5 June is started with a light vegetarian lunch and followed with a buffet dinner at the Finlandia Block Fest. On Tuesday 6 June, a buffet lunch will be served. Sustainability has been considered regarding the food served at the WCEF2017. The food we eat has a big climate impact, and meat production is a major contributor to climate change. The restaurant at the event venue, Finlandia Hall, opts for seasonal, local and organic products when possible and there are always vegetarian options available. At Finlandia Block Fest, for example, you have an opportunity to taste a Finnish innovation called “pulled oats”. It is a plant based protein that looks like pulled pork and tastes a bit like chicken, but the main ingredients are Nordic oats, broad beans and peas. It is a new contender on the meat substitutes market and has taken Finland by storm. To accompany the dinner buffet, organic wine will also be served. Organic fair trade coffee and tea will be served throughout the event. Fair trade coffee is certified as having been produced to fair trade standards that guarantee a minimum price for the producer, ban child labour and put emphasis on community development, for example. Food waste is also a huge problem for the environment. FAO (Food and Agriculture Organization of the United Nations) estimates that roughly one third of the food produced in the world for human consumption — approximately 1.3 billion tonnes — gets lost or wasted every year. WCEF2017 invites you to enjoy delicious organic and locally produced foods. All participants can do their share by trying to minimise the food thrown away at the event. In addition to the complimentary meals served at the WCEF2017 the Finlandia Hall Cafeteria is open during the breaks. See the full programme of the event at the WCEF2017 website.